The stock rose 3 per cent to Rs 212, its highest level since October 10, 2018 on the BSE, on the expectation of margin expansion, owing to improvement in Jaguar Land Rover businesses. On March 29, Tata Motor’s wholly-owned subsidiary JLR said it expects improved financial results for the quarter ended March 2019 (Q4FY19). 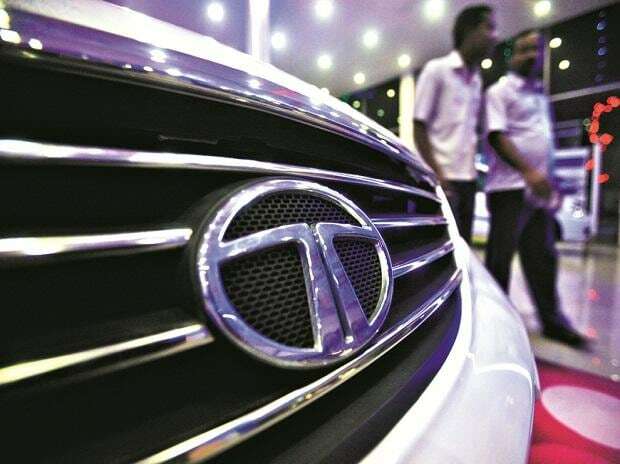 Shares of Tata Motors hit a six-month high of Rs 212, up 3 per cent, on Wednesday in an otherwise subdued market on the expectation of margin expansion due to an improvement in Jaguar Land Rover (JLR’s) businesses. The stock of Tata group Company was trading at its highest level since October 10, 2018 on the BSE. In the past three weeks, Tata Motors rallied 25 per cent, as compared to a 2 per cent rise in the S&P BSE Sensex. “The Company reaffirms that it expects improved financial results in the fourth quarter period to March 31, 2019, compared to the first nine months of the financial year, with significant positive cash flow in the fourth quarter,” JLR said. The company continues to execute its product plans and Project Charge turnaround strategy to deliver 2.5 billion pounds of cash flow improvements by March 2020, it added. Analysts at Edelweiss Securities expect Tata Motors’ consolidated revenue to fall 6 per cent year-on-year (YoY) during March quarter (Q4FY19), primarily due to weakness in India business. The brokerage firm expects consolidated operating margins to improve sequentially by 250 basis points (bps) to 10.4 per cent due to an improvement in JLR’s businesses (lower employee cost being one of them). “We expect 7 per cent YoY EBITDA growth for Tata Motors' standalone business helped by sharp margin expansion in its passenger vehicle (PV) business relative to last year which should more than offset margin contraction in commercial vehicles (CVs),” analysts at Jefferies said in an industry note. “For JLR, Q4 tends to be seasonally stronger which should help it report a profit vs. losses in the last three quarters. On a YoY basis though, we expect EBITDA decline of 25 per cent as a result of revenue decline of 9 per cent and margin contraction by 180bps. Update on China business will be key,” the brokerage firm said. Felix Brautigam, Jaguar Land Rover Chief Commercial Officer, said on Monday, "Although we saw a dip at Land Rover due to China market performance and the phase out of older models, we are pleased with the sales of the newer vehicles and excited by the reception for the all-new Range Rover Evoque, with sales ramping up. Customer and media reviews of the latest generation of this compact yet sophisticated and refined Range Rover are extremely positive and we look forward to its China launch at the Shanghai auto show."